Geologists Robert Ixer of the University of Leicester and Richard Bevins of the National Museum of Wales spent nine months using petrography (the study of mineral content and textural relationships within rocks) and managed to trace one of the original stones back to a rocky outcropping near Pembrokeshire, Wales called Craig Rhos-y-Felin. This isn't one of the more iconic, towering stones (known as sarsens) that were added centuries later, but rather a piece of the inner circle. 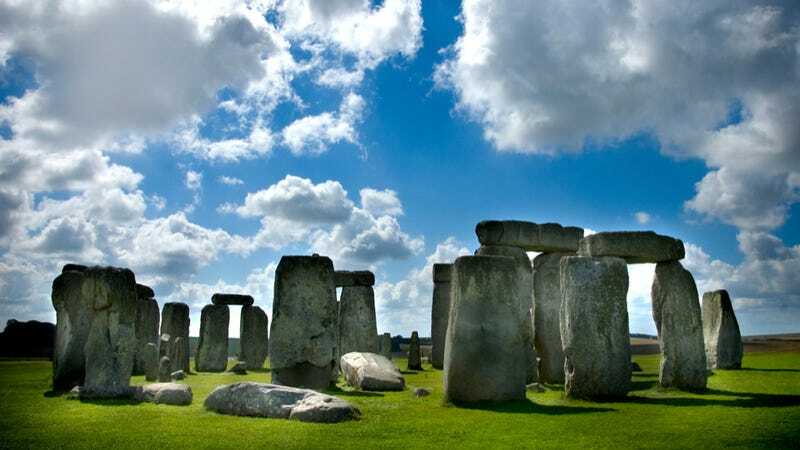 While not quite monolithic, these stones are still pretty massive and it has reignited debate as to how the stones got there in the first place. Some think they were carried there by glacial shift a long time before humans were on the scene, whereas the wider-held theory is that early man somehow managed to drag them there.